by Gorczyca, Wojciech; Weisberger, James, M.D. ; Emmons, Foxwell N.
This extensive reference covering neoplastic hematopathology includes over 500 colour illustrations depicting hematopoietic tumors involving lymph nodes, spleen, bone marrow, and commonly affected extranodal organs, with special emphasis on the differential diagnosis. It discusses basic clinical, prognostic, morphologic and phenotypic data, with numerous tables summarizing the phenotypic profiles of the most common hematologic tumors. 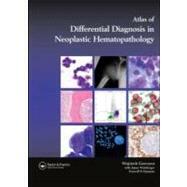 A major feature of this book is an approach to hematologic tumors based on the WHO classification, with relevant examples and emphasis on the most useful morphologic and immunophenotypic features used in diagnosis.It will be an invaluable reference for all practising hematologists, oncologists and pathologists.